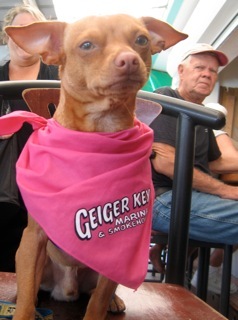 On the Seventh Day of Dog Week we “Pawty” with Erika Friedman of Canine Celebration! National Dog Week has passed as quick as a greyhound! We’ve covered a lot of ground this week and there comes a time when dogs just wanna have fun. To fill that need, on this the seventh day of the dog week we meet Erika Friedman and her company, Canine Celebration in New York City. 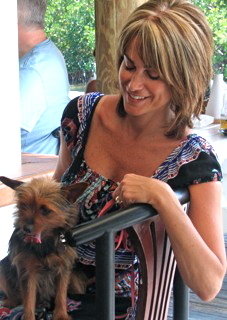 New York City, and the surrounding vicinity, has a vibrant dog community filled with pet loving people on the go 24/7. Sometimes they need a little help to plan the perfect party or event held in honor of a beloved pet. That’s when Erika is there to help, taking care of the smallest of de-tails. National Dog Week is all about honoring our dogs and making them feel extra-special over the course of seven days in September. Although some may not think it’s important to throw parties for our dogs and cats, and the concept is lost on these animals, just remember these occasions make us humans happier and a happy cat or dog loving human makes for happier and healthier pets, especially when these events help less fortunate pets along the way. Party on! When did you start Canine Celebration? Did you do so to fill a need you saw in this market? I started Canine Celebration officially about 4 months ago but it has been in the works for a while. I absolutely feel there is a need for it in this market. Out pets are our children. We should share in celebrating them whether it be through a party or a charity event. What makes CC’s services so unique, is “Canine Concierge” a title you made up for yourself or is it really a defined field? Can you envision a Feline Festivities, or the like, for cats? (I know you are a cat lover).Yes I am a cat lover! Unfortunately cats are not as “social” as our dogs. But cats are always welcome at my events! Canine Celebration and Canine Concierge is something I came up with. I have been really focusing on the Celebration aspect of the concept because that is where my true passion is. I love nothing more than organizing and planning events where all the proceeds go directly to a local rescue in need of money. I thrive most when I get set on a specific theme for an event and I begin the planning process. It takes a lot of work to reach out to all types of businesses and share my passion with them and in turn hope they will want to participate. I have been lucky because we are becoming very aware of what happens to these poor animals when neglected or abused. All raffle prizes, food, photography and venues are donated to me. I find when I actually meet with them in person it helps. They can see my enthusiasm and desire to help. How do you price your services and find your customers? I have planned 2 parties this summer for pay. A Labor Day swim party for 6 dogs in South Hampton. It was hysterical. I find that my clientele for the concierge end of my business are those who have money to pay for someone to do their work. I charge per size and theme of the specific event. Can you give us an example of a large production you’ve pulled together for dogs and their humans? What is your most typical request for events (birthday, etc…)?One of my most successful events to date was my Dog Wedding/Valentines Day Party at Sephora in NYC. It was AMAZING!! We had over 100 people and 40 or so dogs. 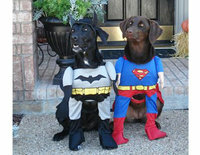 Can you tell us anything about your Halloween party, Hound-o-ween? My Hound-o-Ween Charity event is hopefully going to be my most successful event. Petco had been to “my” Wedding at Sephora and approached me and asked if they could Co-Sponsor my next event. I was so excited. So I am having the event at their new store on East 86th Street in NYC on October 30th from 1-3. All the proceeds are going directly to Rescuzilla of NY. Rescuzilla rescues predominantly pit bulls and rehabilitates them and then finds homes for them. There will be a costume contest, food, candy, doggie & goodie bags. I have so many wonderful sponsors like SEPHORA, Dr. Cindy Bressler, PhysicalMind Studios, PurpleElephantCake, NEW York Yoga, J Mike of FUR products, Babette Haggerty’s Dog Training, Stephanie’s Pet-a-terre & so many more. Raffles are $5 and will be sold at the door. I am already staring plans for my Holiday party which all proceeds will be donated to MightyMutts. 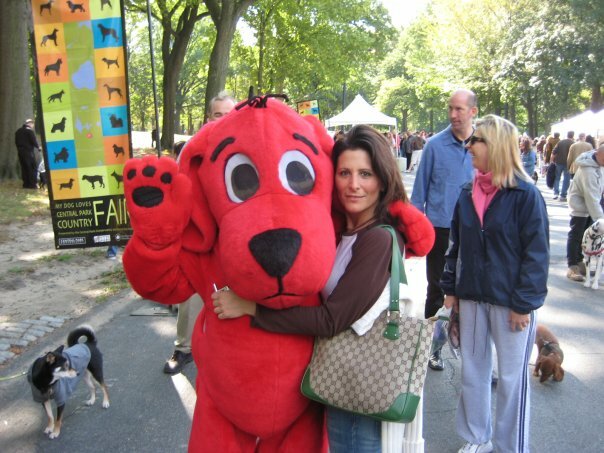 Thanks Erika…Your events put the fun in fundraising and embody the spirit of National Dog Week! Your Hound-o-Ween event will be having New York City dogs saying “Tick” or Treat next month! To learn more about Erika’s Canine Celebration please see her Facebook Page or visit her new web site: www.hound-o-ween.com. Or contact her at 917-763-3243.